So what does this whole “must have” shot thing even mean? A lot of couples have a very specific vision of what they want their wedding day to look/feel like and put so much time and effort into making everything a reflection of themselves. My job as a wedding photographer is to make sure I’m able to document as many of those meaningful things they’ve incorporated into their day as possible! Most of the time I have a running list in my head that’s as automatic as muscle memory for me (with room for creativity of course). After 7 full seasons of shooting weddings, I know all of the essentials in terms of shots-to-get. Everyone wants a photo of the first kiss, the reactions the bride(s) and/or groom(s) have when seeing each other for the first time, family portraits, etc. Step One: AVOID THE BOTTOMLESS BLACK HOLE OF PINTEREST!!!!! I want to say right off the bat that I don’t discourage pinning or Pinterest whatsoever! As I’m planning my own wedding, I’m sure I’ll be making an inspiration board on there and spending far too much time pining away over DIY table settings (and then never actually making them). I always encourage my couples to send me their Pinterest links (if they have them), as it really does help to get an idea of the type of shots they lean toward and favor. For example, one bride sent me her wedding board and I noticed over and over again her pinning shots where the couple was very small in a vast landscape. When I shot her wedding, I didn’t replicate any specific photo exactly but knew she really loved these types of shots. Therefore I made it a higher priority to get more environmental portraits than I normally might. While Pinterest photos can rarely be successfully “recreated”, a Pinterest board can be a great way to supplement your “must have” shot list as a spring board vs. a landing point. I could write an entire blog post about why Pinterest shots should never be part of someones steadfast expectations… and probably will. If you’re curious, keep an eye out for that post in the future! Step Two : Avoid the 4+ page checklists you find in wedding planners. Keep in mind that you chose your photographer for their style, talent, and experience. Trust is so key in a photographer/client relationship and is essential to getting great photos that truly capture the day organically! The goal is to avoid feeling the need to hand your photographer a 4 page checklist with supplemental visual examples, because that level of stress and meticulousness will only haunt you on one of the most important days of your life. It’ll also make it very difficult for your photographer to focus on the day as it unfolds. The best way to avoid all of this is by making a little list of these “must haves” (my recommendation would be no more than 10 “musts”) and communicating with your photographer about the vibe you’re going for before the actual wedding day. That way you know you’re on the same page, and you can just relax and take it all in! Step Three : Give us grace. Wedding days can be a blur! As a photographer in my 8th season of shooting weddings, I know there have been shots that I’d wish I’d gotten but hadn’t in retrospect. A wedding day can be a bit hectic for everyone involved! Remember that the most important thing is that ultimately you’re getting married to the one you love, and that your photos are going to reflect your day as a whole. If the place cards all got taken by guests by the time your photographer is done shooting your portraits, don’t fret. There are so many other important moments we will be capturing throughout the day that you wont even notice if not every single thing was documented. Nicoles grandmother meant the world to her and her family. Sadly, she passed before the wedding and couldn’t be there physically. Knowing that her grandmothers necklace would be serving as a reminder of her, I wanted to make sure to document this significant piece of jewelry. Had I not known the necklace was her grandmothers I might not have paid as much attention to it overall. Pets are totally part of a persons family. Rachel & Carter made sure to bring their pups along to their wedding, and I wanted to make sure to incorporate them into their gallery as well. This guy just sat calmly on the bed and watched Rachel get ready. He’s too majestic to not make a cameo. Family photos often require a bit of list-making, as family means different things to different couples! There’s also a varying degree of importance different couples place on photos of their family with them on their wedding day. While some might think every breakdown with every different family member is a given- it’s really not. For example, some people are very close to their mother or father individually and want photos with each of them separately as well as together. This isn’t always a go-to for all photographers to do individual breakdowns. Make sure to let me (or your photographer) know what your particular preferences are, and even better- make a list of breakdowns you want to help keep us organized! Rox and Harry are the perfect example of a couple who very intentionally crafted their wedding day to be an expression of them as people & a couple. They lined the trees back to their ceremony site with photos of them & their families & friends. They share a love of gardening and as favors decided to give their guests packets of Colorado wildflowers, some of which grow in their mountainous backyard. And as Rox is a creative, they decided it would be meaningful to hire a live plein air painter to capture their ceremony on canvas. It was super important to them that I documented all of the details that they worked so hard putting together. While not every detail incorporated into a wedding day is necessarily “sentimental”, sometimes couples just freaking love what they/their vendor(s) have come up with and want to make sure it’s highlighted. Elizabeth has a love for all things floral and specifically requested I make sure to capture more photos of the different arrangements than I might normally do. All couples want beautiful images, but to some it’s even more important to make sure and convey certain personality traits that they think make them unique as a couple. For example, Katie requested that I get a shot of her and her fiance Dave praying together before the wedding. While I might have usually gone onto the ceremony site right after the bride finished getting ready, in this case (because of the “must have” shot list) I knew that it was important that I stay around a few extra minutes to get this image. Their faith is super important to them as a couple, especially seeing as they met at a church and ministry is a huge part of their lives. I also can’t even tell you the number of times I’ve been told by couples “we’re not super romantic! Can you make sure to get other photos of us that aren’t so mushy?”. A perfect example of this is Courtney & Ryan. Part of our job as photographers is to take in the scene and decide where might be the best light/location for photos! While we love for you to trust us on this front to a certain extent, it’s always good to know if you have a preference when it comes to a spot or feature on the property that you’d love photos in/on/in front of! Jessica & Spencer got married in Dunn, North Carolina and really wanted to incorporate Southern Charm into their wedding day and imagery. Therefore getting photos inside of the gorgeous historic mansion they were married in front of was really important to them, as it spoke to the nature of the area they made their life together in. Likewise, Danyelle & Tristan had a super eclectic and bohemian wedding where there were so many options of backgrounds to photograph them against. However, Danyelle knew that across the street from their venue there were some massive willow trees that she really would love photos in front of. I’m so glad she made sure to let me know about these, as I may have had a totally different vision and never thought to use the willows across the street vs. the lake behind the venue. In conclusion, must have shot lists are awesome. I personally send all of my clients questionnaires to keep me organized on the wedding day, and I go over that sheet- specifically the “must haves” again and again before arriving to a wedding to make sure I don’t miss anything! As always- if you have any follow up questions let me know! I AM HERE TO HELP! 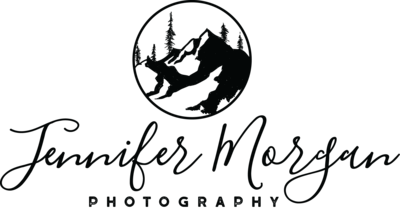 🙂 Just leave me a comment or shoot me an email : hello@jennifermorganphotography.com .